How are adults on the autism spectrum diagnosed? 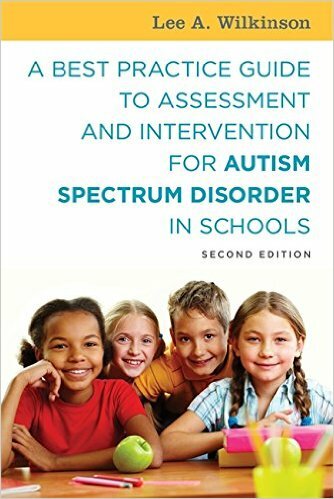 Although there is a wealth of information regarding the assessment of children with autism spectrum disorder (ASD), little is known about the identification of adults on the higher end of the autism spectrum. 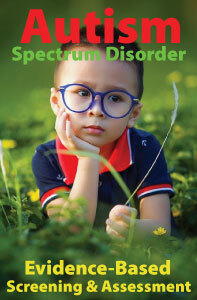 This is due to the fact that there is no single set of clinical criteria for diagnosing ASD in adults. The criteria were principally developed to identify ASD in children, with no adjustments for diagnosing adults. This presents a problem in that the diagnostic criteria fails to account for the dimensional nature of characteristics and variations in the manifestation of the disorder through adulthood. A number of autism professionals propose that autism falls on a continuum and that there is no clear distinction between “mild autism” and the boundaries of neurotypicality (or normalcy). In fact, we now recognize that autistic “traits” are normally distributed across the general population. This includes the groups of more successful individuals in the general population who present with sub-clinical (or sub-threshold) features of ASD but who continue to have social “vulnerabilities” which may impact their lives. An individual may demonstrate mild qualitative differences in social skills, yet not meet the clinical criteria for ASD. While ones social skills might be below average relative to his or her age group, these differences may not result in a “global” disability. 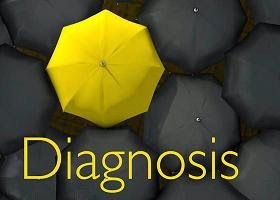 There are individuals without a diagnosis who have marked difficulties, while others with a diagnosis have only mild problems. Even though there is considerable variation in the profiles of adults, it is when these “differences” in social functioning lead to an impairment in adaptability (e.g., personal, occupational) and the need for clinical services, that we describe the individual as having an ASD. While there is no single set of criteria or “gold standard” for making a late diagnosis of ASD in adults, there are several instruments that can be used for screening. They include the Autism-Spectrum Quotient (AQ; Baron-Cohen, Wheelwright, Skinner, Martin, & Clubley, 2001), the Empathy Quotient (EQ; Baron-Cohen & Wheelwright, 2004), the Systemizing Quotient (SQ: Baron-Cohen, Richler, Bisarya, Gurunathan, & Wheelwright, 2003), and the Asperger Syndrome (and high-functioning autism) Diagnostic Interview (ASDI; Gillberg, Gillberg, Restam, & Wentz, 2001). We also have a diagnostic protocol specifically designed for adults. The Adult Asperger Assessment (AAA; Baron-Cohen, Wheelwright, Robinson, & Woodbury-Smith, 2005) is a semi-structured interview schedule developed for the late diagnosis of Asperger syndrome in adulthood. It links the AQ and EQ screening instruments, and uses diagnostic criteria specifically related to adults. During the clinical interview, the clinician validates symptom examples by gathering information from both the individual and his or her relative or other informant. A caveat. Individuals should NOT attempt to self-diagnose an ASD. Only a trained and experienced professional, through careful review of the individual’s medical and social history and interpretation of information gained from standardized measures, can make an ASD diagnosis. The AQ, EQ, SQ, and AAA are downloadable from the Autism Research Centre (ARC) . The ARC is located within the School of Clinical Medicine in the Department of Psychiatry, at the University of Cambridge, UK. The tests are posted on the website to enable free access to academic researchers. None of them are diagnostic: No single score on any of the tests or questionnaires indicates that an individual has an Autism Spectrum Disorder (ASD).